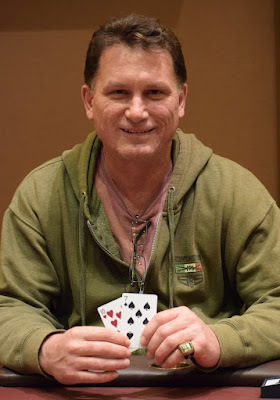 213 single-player buy-ins today for #TVWSOPCircuit Event 2 - $250 Seniors Event - and it is Andrew McKenzie collecting the $10,650 top prize plus the coveted @WSOP Circuit Ring. There are no Casino Champion points for this event because it is not an open event (limited to players age 50-plus). Here's all the results for the 24 players who cashed today.